The full schedule for Radio 1 Vintage, the three-day digital radio pop up station to mark Radio 1’s 50th birthday, has been revealed, kicking off on Saturday 30 September 2017, 50 years to the day since Radio 1 launched. 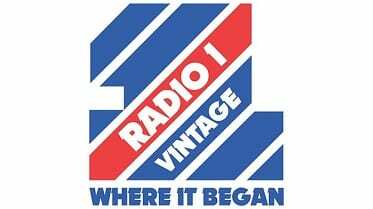 Radio 1 Vintage hits the airwaves at 6am, counting down to a recreation of the opening on Radio 1 at 7am with Tony Blackburn, which will also be broadcast live on Radio 2. From 8:30am there will be a live triplecast across Radio 1 Vintage, Radio 1 and Radio 2 - presented by current Radio 1 Breakfast Show host Nick Grimshaw, and Tony Blackburn. The co-hosted show will feature previous Radio 1 DJs as guests, plus archive content and hit records from across the years. Hosting hour slots are David Kid Jensen, Colin & Edith, Adrian Juste, Roger Scott, Fearne & Reggie, Nicky Campbell, Dave Pearce, Pete Tong, Fabio & Grooverider, Zoe Ball, Chris Moyles, Bruno & Liz, Jackie Brambles, Trevor Nelson, Annie Nightingale, Zane Lowe, Johnnie Walker, Bobby Friction & Nihal, Tim Westwood, Mike Read, Noel Edmonds, Simon Mayo, Sara Cox, Simon Bates, Rosko, Gary Davies, Mark & Lard, Bob Harris, Peter Powell, Steve Wright, Rob Da Bank and Mary Anne Hobbs.